Continental has received a range of new approvals from Volkswagen, with summer tyre fitments from factory for the Golf Mk VII, CC, and Beetle. 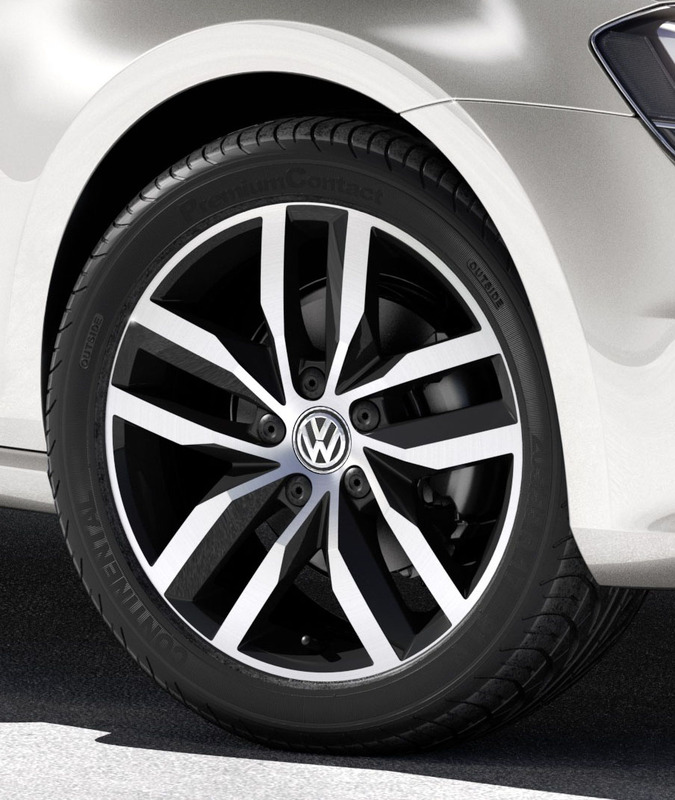 For the Golf Mk VII, Volkswagen has approved both 15 and 16-inch ContiEcoContact 5 and ContiPremiumContact 5 tyres. The ContiEcoContact 5 delivers reduced CO2 emissions and 20% better rolling resistance than its predecessor, thanks to the functionalised polymer chains, whilee the ContiPremiumContact 5 builds on the success of its predecessor, delivering exceptional all round braking performance. The CC will be fitted with the 17-inch ContiSportContact 5 and ContiEcoContact 5 tyres. The Beetle will also be fitted with the 20-inch ContiSportContact 5 tyre in the future. With the ContiSportContact 5, Continental’s engineers have developed a tyre which offers the best in braking when pushed to the limit. With shorter braking distances in all weather conditions, excellent road grip and safety when cornering, the ContiSportContact 5 won a coveted award from the UK's best-selling weekly motoring magazine, Auto Express last year, taking top spot in the ultimate tyre test. "Volkswagen chose our tyres because we satisfy the Wolfsburg-based company's high expectations and performance specification with our premium products," explains Jörg Göner, Manager Automotive Engineering for Continental's Volkswagen group. "In addition, we have the ContiEcoContact 5 in our range – a tyre with very low rolling resistance and very good driving properties even on wet roads – for example for the Golf Mk VII BlueMotion. By the same token, with the ContiSportContact 5, we can offer a handling-based tyre that brings the agile properties of the Beetle safely onto the asphalt."